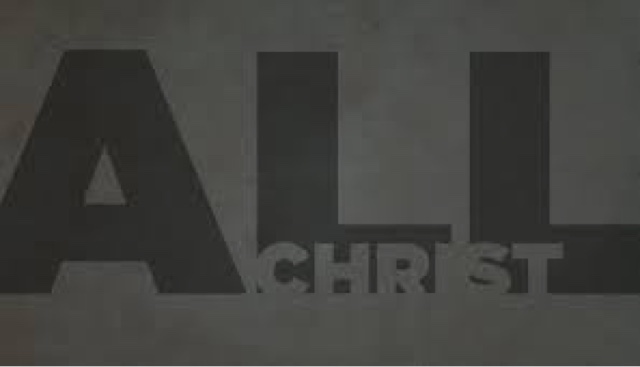 "The religion taught in the New Testament, is Christianity in the most emphatic and peculiar sence of the term, "Christ is all in all". It is his religion. It is all by Him; it is all about Him; he is its author, he is its substance; he is the sum of this system, the soul of this body. Everything is viewed in its connection with Him. Every doctrine and every precept, every privilege and every duty, every promise and every threatening. The ground of acceptance is His sacrifice; the source of life and light, holiness and peace, His Spirit; the rule of duty, his law; the pattern for imitation, His example; the motives to duty, His authority and grace; the great end of all, His glory, God's glory in Him....let the language of our hearts be that of the dying Martyr: "None but Christ, none but Christ"."